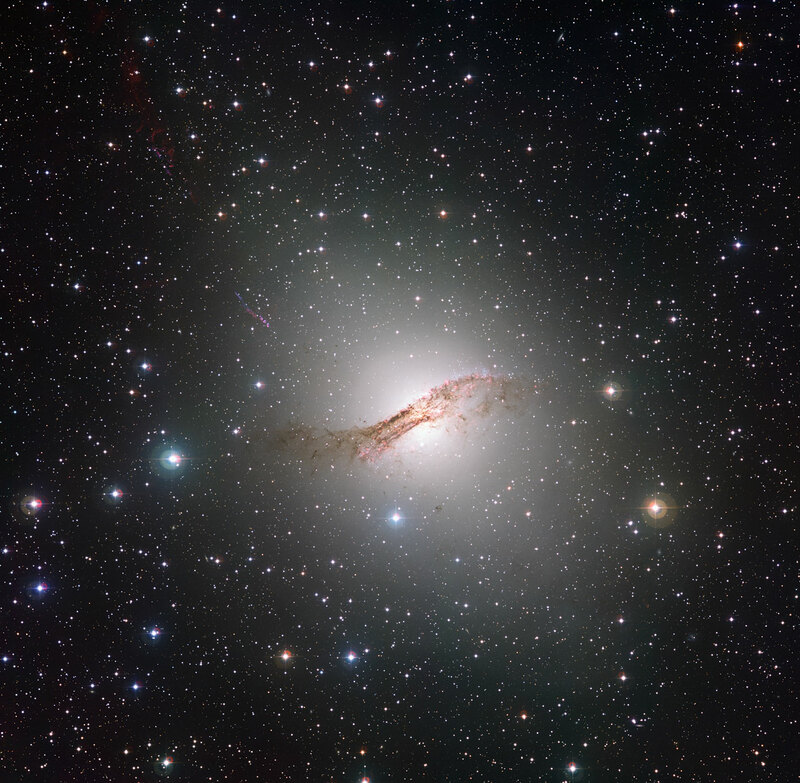 The peculiar galaxy Centaurus A (NGC 5128). Star shedding loads of dust (orange dot at upper left). 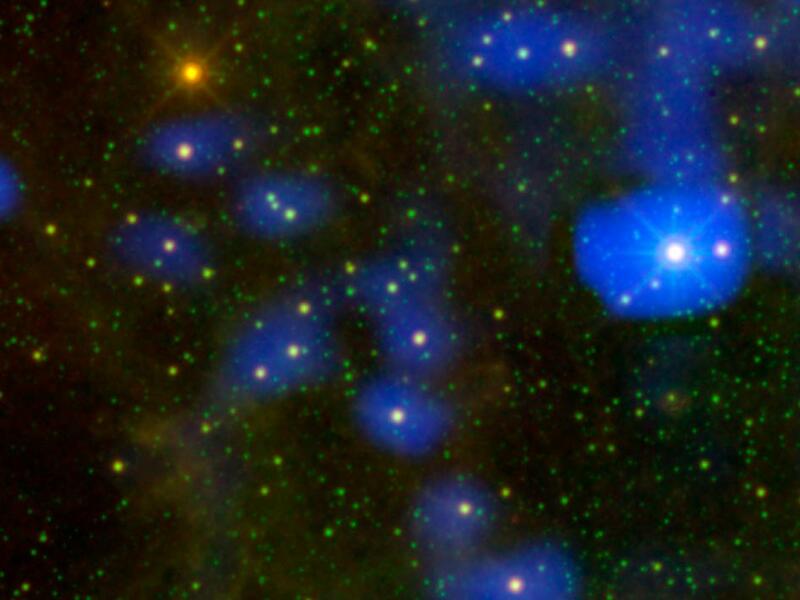 Images from NASA's Wide-field Infrared Survey Explorer (WISE) reveal an old star in the throes of a fiery outburst and spraying the cosmos with dust. The findings offer a rare, real-timelook at the process by which stars like our sun seed the universe with building blocks for other stars, planets and even life. Poshak and his colleagues calculated the star appears to have brightened dramatically since 1983. The WISE data show the dust has continued to evolve over time, with the star now hidden behind a very thick veil. The team plans to follow up with space and ground-based telescopes to confirm its nature and to better understand how older stars recycle dust back into the cosmos. NASA's Jet Propulsion Laboratory (JPL), Pasadena, Calif., manages and operates WISE for NASA's Science Mission Directorate in Washington. The spacecraft was put into hibernation mode after it scanned the entire sky twice, completing its main objectives. The principal investigator for WISE, Edward Wright, is at the University of California, Los Angeles. The mission was selected competitively under NASA's Explorers Program managed by the agency's Goddard Space Flight Center in Greenbelt, Md. The science instrument was built by the Space Dynamics Laboratory in Logan, Utah. The spacecraft was built by Ball Aerospace & Technologies Corp. in Boulder, Colo. Science operations and data processing take place at the Infrared Processing and Analysis Center at the California Institute of Technology (Caltech) in Pasadena. Caltech manages JPL for NASA.